First and Foremost you will experience the physical benefits. Increases flexibility, increases balance, and coordination, burns calories, improves fitness, and learning a healthy lifestyle by staying active while learning how to defend yourself!!! Is this a good place to train for competitions? Yes! Although we don't require you to compete the option is still available with the full support of the staff and Gideon "The Gladiator" Ray. He has a lifetime of experience that will benefit you. He has participated in over 50 professional bouts/contests including UFC, King of the Cage, The Ultimate Fighter, IFL and many more. He knows what it takes to be successful in these competitions and he can get you there! We are having success with students competing in various competitions for both children and adults. What if I don't want to be in competitions? Is BJJ right for me? Yes! 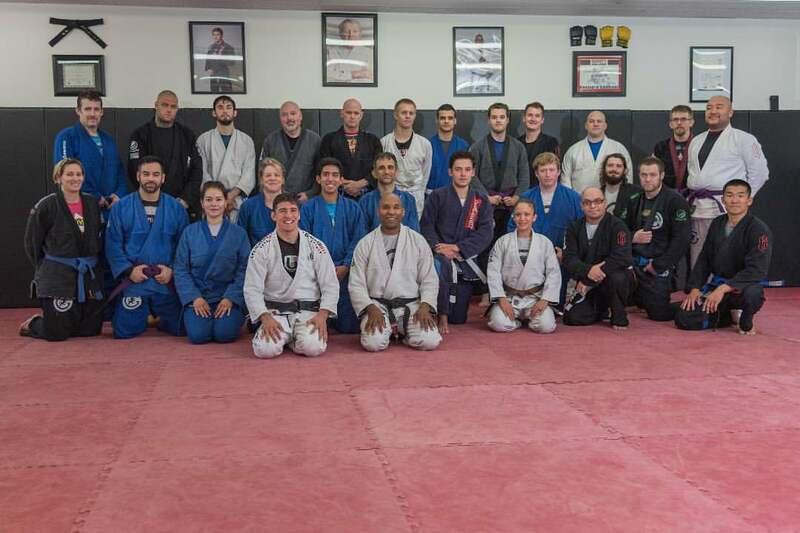 Brazilian Jiu Jitsu is referred to as the Gentle art (hence the name of our school). As outlined within the general benefits above, there are huge benefits in regards to physical fitness, stress relief, confidence and the ability to defend one's self against a larger attacker. We have both male and female staff available to assist with coaching and direction during training. Last but not least, it really is a lot of fun and you will meet some great people!